Fujifilm's new camera is here -- and it's equal parts digital and instant film. 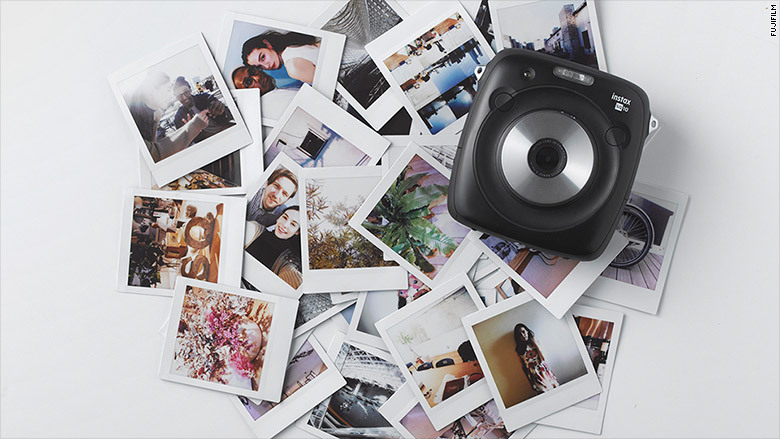 The Instax Square SQ10 is what you'd get if you crossed Instagram's filters with nostalgic instant photos -- the tools to edit digitally combined, with the immediate gratification of instant printing. Take a photo and you'll be able to edit the image right on the camera's LCD screen. The SQ10 offers 10 different filters, along with brightness adjustment and vignette control (which darkens the edges of a photo). You can also crop, rotate, and zoom in on the image before printing it directly from the camera. The Japanese company officially launched the camera at an event in New York on Wednesday night. The SQ10, which was first announced in April, is the latest in Fujifilm's Instax line -- and it's the first to combine instant prints with digital (previous models printed photos, but didn't have a screen). The SQ10 begins shipping on Friday for $280 in the United States. A 10-pack of Instax Square film costs $17. The new model takes brighter photos in low-light conditions -- like at night or indoors -- compared with others in the Instax series, and it can take close-up shots up to four inches away. The camera's other new features include automatic exposure control, facial recognition auto-focus and double exposure mode, a technique in photography that combines two different images into a single image. The camera has two print modes: auto and manual. When auto mode is selected on the side of the camera, printing starts immediately after the image is saved. With manual, the image is saved and can be edited or printed later. The SQ10, which right now only comes in black, also uses a new square photo format that has been popular with mobile apps like Facebook's (FB) Instagram. Unlike other Instax cameras, the SQ10 can save photos on its internal memory or a micro SD card, and they can be transferred to a computer using a USB. Fifty photos can be saved on the internal memory. Fujifilm (FUJIF) says the instant camera line, which originally debuted in 1998, have been very popular with over 25 million cameras sold. But Fujifilm isn't the first to launch such a hybrid camera. Rival Polaroid also has a camera that combines instant film and digital, and allows users to edit photos before printing. Instant film cameras have made a comeback in recent years, especially with millennials who have grown up largely with digital photos. "It's a new way of communication ... Young kids are so used to using smartphones. So for them this [concept] is very brand new," Masato "Mark" Yamamoto, CEO and president of Fujifilm North America, told CNNTech. 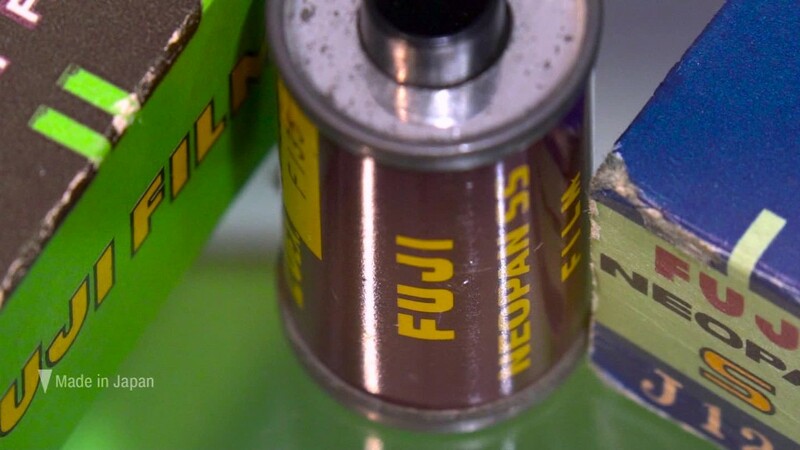 Since 2012, Fujifilm said it has seen an "incredible" global growth trajectory in the instant film camera line. In 2016, sales jumped 30% to 6.6 million cameras compared to the prior year, and nearly half of that came from the U.S. This year, the company expects sales to increase "tremendously," with the United States leading the growth. Yamamoto doesn't think the novelty of instant film will wear off. "People love it," he said.